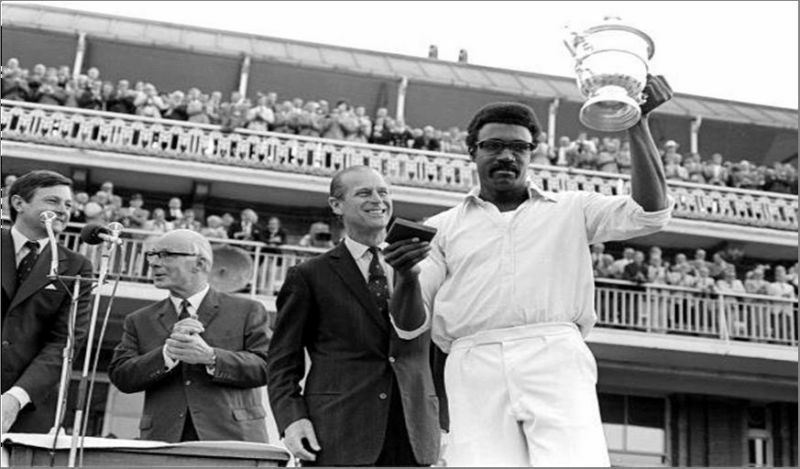 Clive Lloyd with the 1975 World Cup trophy. Although it is true that World Cups are generally won by teams which are well stacked in all departments, the captain plays a crucial role when it comes to winning the tournament and over the years, all teams who have won the title have been led by excellent captains. The captain's influence might be underplayed sometimes but his contributions as a leader are vital if a team is to win the World Cup. The World Cup has been won by only 5 teams so far spread across 11 editions of the tournament and during each of those tournaments, the captain of the team played a pivotal part in the eventual triumph. Team selection, setting an example, leading from the front and making unorthodox decisions during crunch moments are some of the attributes that have defined World Cup winning captains over the years. Let's take a look at how the 10 World Cup winning captains influenced their teams in the hours of their greatest triumph. 'Supercat' Clive Lloyd led the West Indies to two back to back World Cup triumphs in the first two editions of the event. Needless to say, he had an excellent team that could destroy most sides on any given day but the leadership provided by Lloyd was a key element in those triumphs. In the 1975 final against Australia, West Indies had been reduced to 50-3 by Dennis Lillee, Jeff Thomson and Gary Gilmour but Lloyd slammed an 85 ball 102 to take them to a mammoth 291-8 in 60 overs. During Australia's reply, Lloyd controlled a close game well and even bowled his quota of 12 overs for only 38 runs (for 1 wicket) to fashion a 17 run victory in fading light. In the 1979 World Cup, West Indies won all games on their way to the semi-final. In the semis, Pakistan seemed to be on course to chase down 294 during Majeed Khan and Zaheer Abbas's brilliant partnership. During a drinks break, Lloyd realised that the bowlers needed to change the line of attack to Abbas. Instead of bowling on his off stump, which was his strength, Lloyd decided to deploy a leg stump attack and before long Abbas was gone for 93. Pakistan collapsed to 250 all out from 176-1 and West Indies were in their second final. In the final, the West India crushed hosts England by 92 runs through the combined heroics of Viv Richards, Collis King and Joel Garner to win their 2nd consecutive World Cup.